Caleb Alexander offers lessons for Guitar (all ages and skill levels) with specialties in Jazz Guitar, Acoustic Guitar and Electric Guitar. He also offers lessons in Jazz Improvisation, Live Sound Engineering, and Music Production. Caleb's lesson policy is available here. 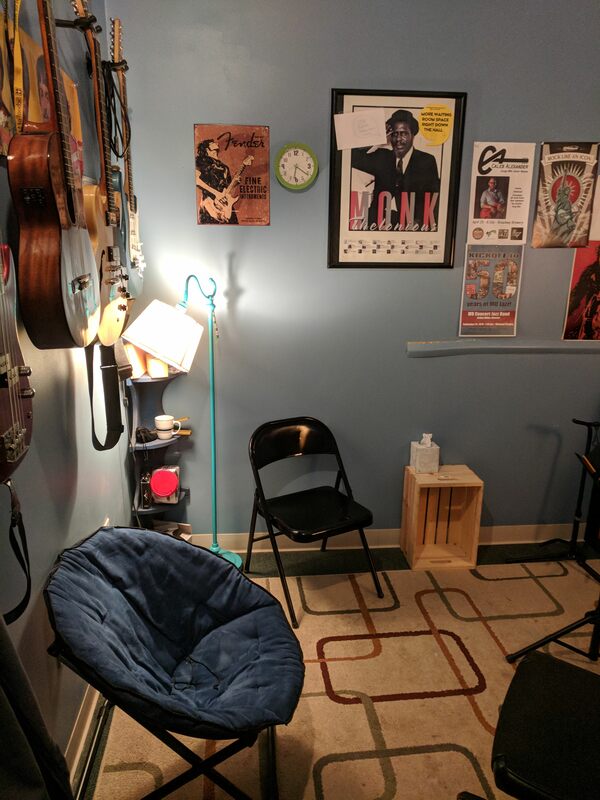 Guitar and Jazz Improvisation lessons are offered both in person in Columbia, MO at Show Me Guitars and via Skype. Live Sound Engineering and Music Production lessons are only offered in person at Show Me Guitars, on a limited basis. Photos of Caleb's studio can be found here and here. 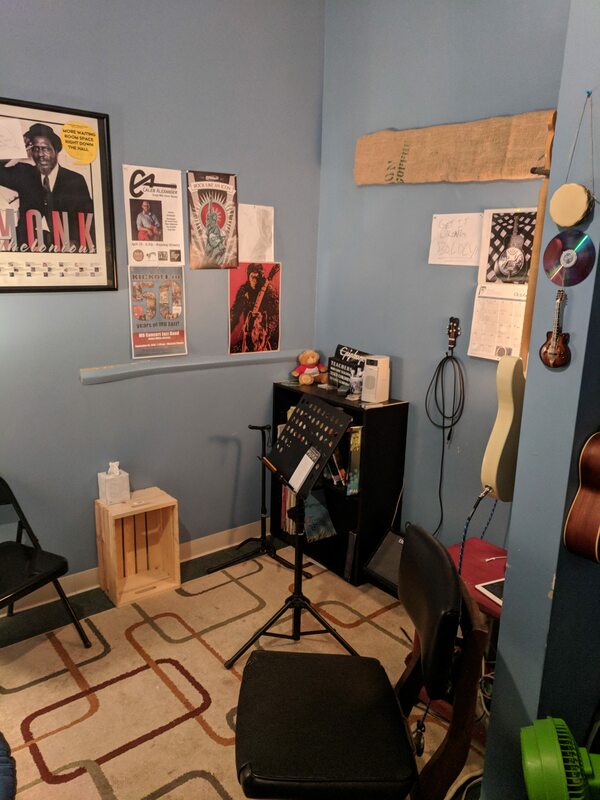 In-person lessons are $90 a month, with one 30 minute lesson a week. Hour lessons are available, but are billed as two half hour lessons. When there are five weeks in a month, you still get a weekly lesson. Please feel free to contact Caleb to set up lessons. Skype lessons operate in a the same fashion: they are billed at are $90 a month, with one 30 minute lesson a week. Like in-person lessons if there are five weeks in a month, you still get a lesson each week. However, with Skype Lessons additional lessons can be purchased for an additional $25 each. Were you told to go to the website and download something for lessons? Click here to go to the right place!